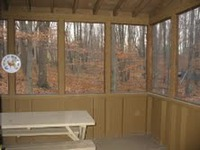 Rick's Pocono Blog: Locust Lake Village Rental Getaway! Quaint Modern Mountain Getaway!! 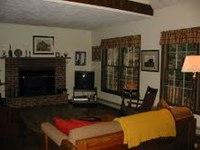 Get Away to the Poconos and enjoy the Central Location of This home to Beaches, Golfing, Swimming, Fishing, Hunting, Hiking, Biking, Whitewater Rafting and more!!! 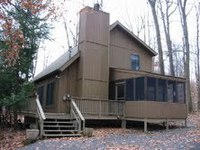 Call Today to Book Your Pocono Getaway Here! Locust Lake Village - Locust Lake Village is a private lake community comprised of 1600 properties just off of Rte 940 in the town of Pocono Lake, PA. Their amenities are as follows:Pilgrim Lake is 1.62 acres and is the only designated area for ice-skating, as long as weather permits. East Lake is 5.24 acres and is used for fishing, swimming, having picnics, grilling outdoors, and playing bocce. There is a limited food concession on property, a basketball court, a baseball field, and other activities may be scheduled here during the summer season.Pines Lake is 60.57 acres and is used for fishing, swimming boating having picnics, grilling outdoors and playing bocce as well. There is a food concession with snacks available for sale and activities may be scheduled here during the summer season.Locust Lake is 16.3 acres and is used for fishing, swimming, boating, having picnics grilling outdoors and playing bocce. There is a food concession with snacks available for sale and activities may be scheduled here during the summer season. For your enjoyment there are presently four tennis courts available, two of which are equipped with lights for evening play.